Cardamom is a popular Indian herb widely used during preparation of several cuisines. The herb’s common name is “choti elaichi” or “elaichi” (Hindi) and it grows in a good number in Asian countries like India. Scientific name of cardamom is Elletaria Cardamomum (1). Indians, who love spice in almost all dishes, use to add cardamom in varieties of foods and especially the sweet ones for flavor and enriched taste. This smaller aromatic herb has many health benefits when consumed rightly. Generally, the herb has very less side effects but over intake of the same may lead to some serious health consequences. It is therefore extremely important to know the proper dosage of the herb to avoid any of the side effects. 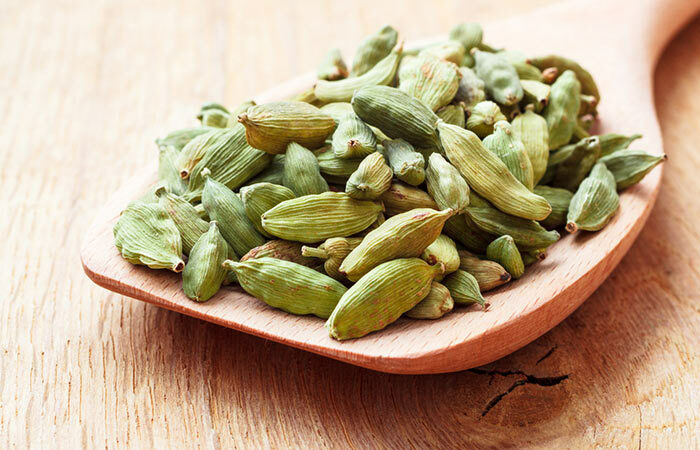 If you are an Indian, you must know that cardamom is referred as queen of spices in India. This flavored and aromatic herb is often used as herbal supplement. However, you may astonish to know that this relatively less harmful herb has some side effects. The consequences are prominent when the intake is higher than the desired amount. Some people, who chew cardamom as a habit, may experience some side effects at times. 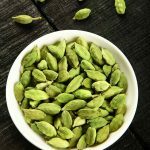 Check out some of the most common side effects of cardamom. If used for prolonged time and in large quantities, cardamom might lead to some unexplained allergic reactions. Skin allergy known as contact dermatitis is a popular type of skin rash developed due to over intake of cardamom (2). Some people may also experience hives if they are sensitive to cardamom but intake cardamom unknowingly. Again, some of you may be hypersensitive to cardamom. You may also experience a type of respiratory trouble if you consume cardamom excessively. You might witness the following symptoms when have the respiratory allergic reactions due to cardamom. 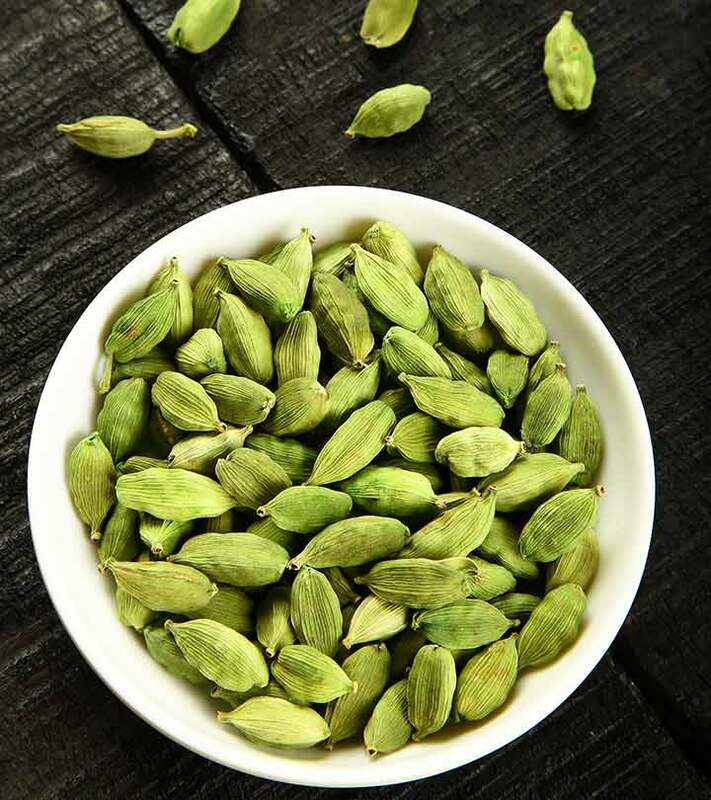 Did you know that excessive consumption of cardamom might lead to gallstone? Yes, some of the recent studies have revealed this thrilling information in a leading journal some days back. It is often found that our digestive system fails to absorb cardamom completely. This results in sedimentation of the same seeds within our bodies. This process eventually leads to growth of gallbladder stones. Further, if you already this problem, you should abstain from having it. Eating cardamom is strictly ‘no’ for the gallbladder stone patients. The gallstone pain increases heavily if you intake excess cardamom by chance. Researches establish that cardamom intake leads to infection and bleeding when a gallstone patient intakes the same (3). You should consume cardamom consciously if you are following any medicinal course (4). This is so, because some drugs may interact with cardamom adversely and lead to serious health consequences. If you are negligent to this situation, you might escalate the disorder for which you eating medicines. Many of us are not aware of such interaction and continue having cardamom regularly. The chance of drug interaction is higher in people who consume the same as regular habit without knowing the consequences. Avoid eating this as mouth freshener if you are consuming any of the following types of medicines. Balance out the cardamom side effects and benefits for an ensured solution that leads to better health! 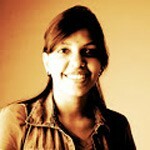 Did you find this article useful? Do leave us a comment.